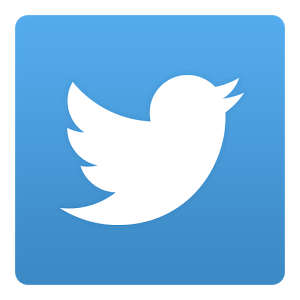 Twitter has become one of the fastest growing social media sites. Submit Express offers Twitter account creation and posting. Twitter posts are limited to 140 characters. Submit Express will create a Twitter account for you and post on it on a regular basis. The frequency of posts will vary from 40 to 150 posts a month, depending on which option you pick. Normally the post subjects will be positive news stories in your industry and links to the news story. Submit Express will never post any news stories about your competitors. Submit Express will also post links to your blog entries and press releases in your Twitter account and forward any customer support questions to your staff. In addition, Submit Express will work to build up your followers list. A 30-minute phone training will be available, if you would like to also manage your your own acount. – Twitter brings new visitors to your site. – Twitter advertises your brand to a new audience. – Depending on the username of your Twitter account, your Twitter page will naturally rank high in search engines for your company name or personal name. This gives you additional visibility and can push down sites that you don’t want showing up when someone performs a search query for your company name. Why should iClimber manage your Twitter account? A Twitter account can be set up by anyone, but it requires a good amount of free time to learn and to use, and most people don’t have the time or patience. The tools available that help manage Twitter accounts by automating posts from news feeds and generating more followers (friends) also require time to learn, and some may be technically challenging. However, when you hire iClimber to create and manage your Twitter account, you can avoid the hassle of learning and using Twitter while still reaping the benefits. Who Uses Twitter the Most? ©Copyright 2008-2016 by iClimber, Los Angeles, CA. All rights reserved.